Chapter 13 bankruptcy may also be known as personal reorganization or reorganization bankruptcy. Chapter 13 bankruptcy allows persons who receive regular income to repay their debts over a specified amount of time. Those who want or need to keep income that would be lost in a Chapter 7 bankruptcy may choose the Chapter 13 option for this reason. In Texas, if you wish to file a Chapter 13 bankruptcy, you must have a regular source of income as well as disposable income to apply towards your Chapter 13 payment plan. The repayment plan is spread over three-to-five years and provides a way to pay off all or part of the debts you’ve incurred. Chapter 13 is a way to regain solid footing by preventing home foreclosure and auto repossession and by stopping the interest from accruing on your tax debt. The terms of your repayment agreement are important, as your remaining debt will be discharged at the conclusion of the payment plan. It’s imperative to retain the advice and services of an experienced Dallas Chapter 13 bankruptcy lawyer. 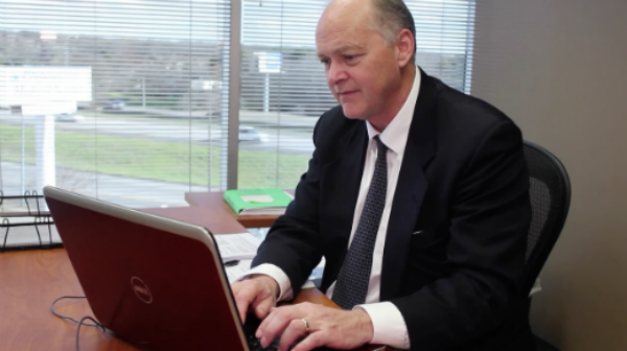 Contact Richard Weaver before you make any final decision regarding bankruptcy. When you file for Chapter 13 bankruptcy, an order for relief – an “automatic stay” – takes effect. The automatic stay will prevent creditors from harassing you about debts related to: foreclosure, credit cards, repossession, payday loans, medical bills, IRS debt, and other debts. Chapter 13 payment plans range from three-to-five years based on your income and other circumstances. Chapter 13 is the best bankruptcy option if you have a large amount of equity, secured assets, or a home and cars that you own. Compared to a Chapter 7 bankruptcy, a Chapter 13 bankruptcy offers reorganization rather than liquidation. Call the Dallas Chapter 13 bankruptcy attorney Richard Weaver at (817) 422-5929 or (214) 960-4125 and let them help you with debts and bankruptcy. If you are struggling right now with debt, don’t wait another day to make the call. Chapter 13 is the most attractive chapter when the debtor has a lot of equity, secured assets, a home and cars. In comparison to Chapter 7, Chapter 13 offers reorganization as opposed to liquidation. Chapter 13 offers the option to make up overdue payments over time. Call the Dallas chapter 13 bankruptcy lawyer Richard Weaver at (817) 422-5929 or (214) 960-4125 and let them help you decide which chapter is best for you. Bankruptcy is very serious and you need someone who knows the law when it comes to bankruptcy.